On a recent Called to Coach: Singapore Edition, we spoke with Gallup-Certified Strengths Coach Suman Balani. Channeling her Connectedness theme, Suman explained that when she first learned that Gallup was bringing the Accelerated Strengths Coaching course to Singapore, she knew it was meant to be. In her coaching sessions, Suman says that it’s amazing to see people blossom into who they are and own their natural talents. She gave an explanation of someone with high Command who spent much of her life believing that she was harsh and demanding. She was overwhelmed when she finally had a way to shine a positive light on her Command theme as she learned how to productively develop it into a strength. Starting the strengths conversation with teams is just the beginning for Suman. It serves as a foundation and a jumping-off point for leadership development and other initiatives within organizations. Teaching others about strengths shouldn’t be the final goal for strengths coaches, let it serve as the backbone for future conversations and development. To hear more about Suman and her coaching experiences and expertise, watch the full video above. Visit Gallup Strengths Center to browse our myriad products and learning opportunities for strengths-based development. You can register for all upcoming Gallup Strengths Center webcasts at gallup.eventbrite.com. 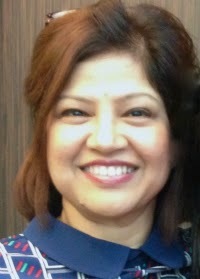 Suman is an avid strengths advocate and an experienced executive coach. She has been coaching senior leaders and entrepreneurs embarking on new change initiatives and roles, as well as teams and managers facing challenges yet wanting to deliver their very best. She also works with organizations interested in building systemic coaching or strengths-based cultures. Suman’s top five strengths: Connectedness | Empathy | Adaptability | Responsibility | Intellection.